Make setup and take down painless with this 2-pack of Chauvet DJ EZpin Spotlight Pack. 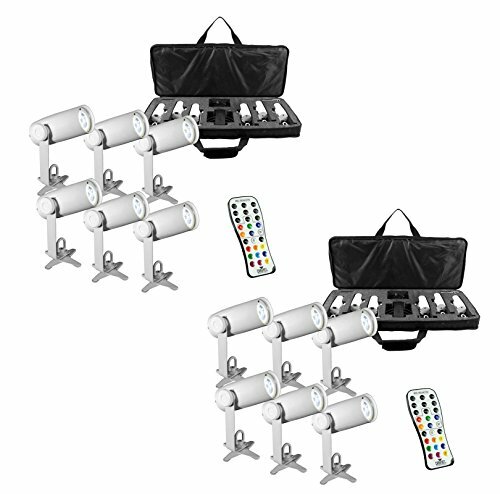 This package includes 6 EZpin IRC fixtures, IRC-6 wireless remote and VIP gear bag. It's battery-powered, magnetic, and wireless. What more could you ask for in a lighting system? Make centerpieces, cakes, and head tables the center of attention with these focal spotlights. You'll also be able to match the events colors with the included color gels. If you're just starting out or if you're a seasoned DJ, the Chauvet spotlight pack is a great addition to your lineup.